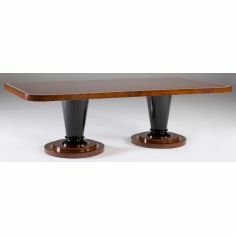 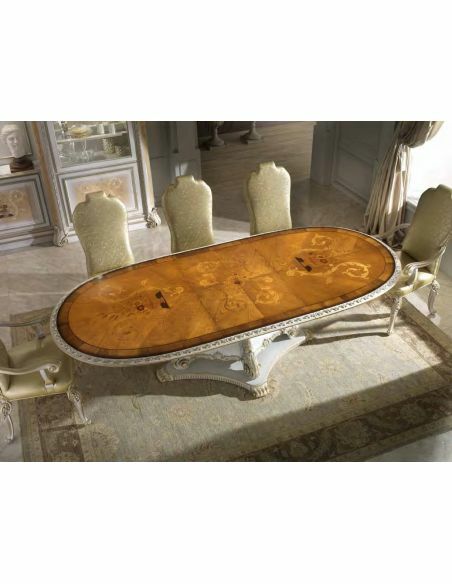 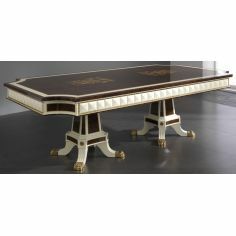 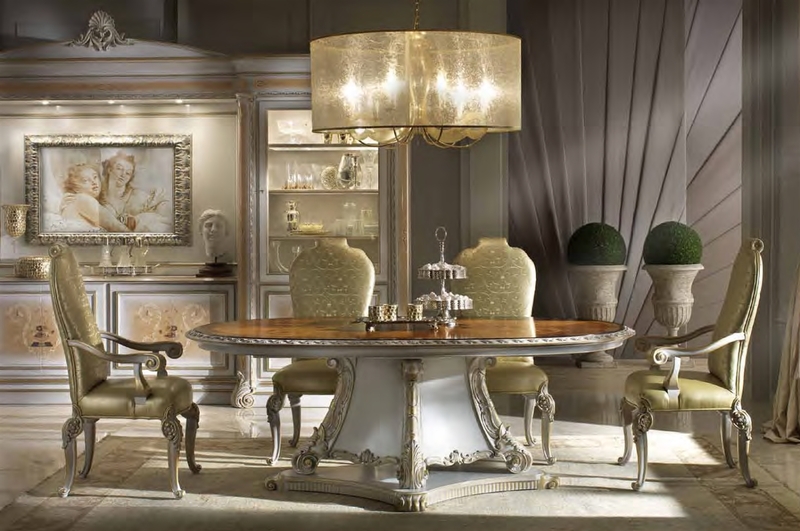 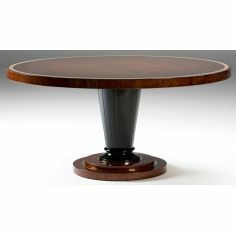 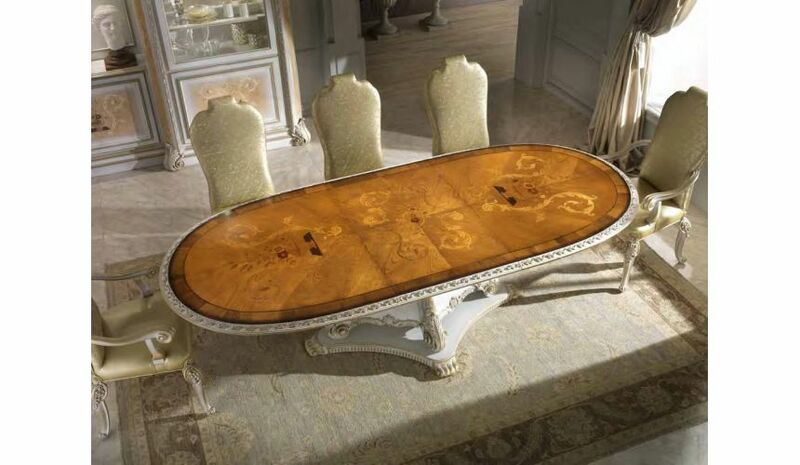 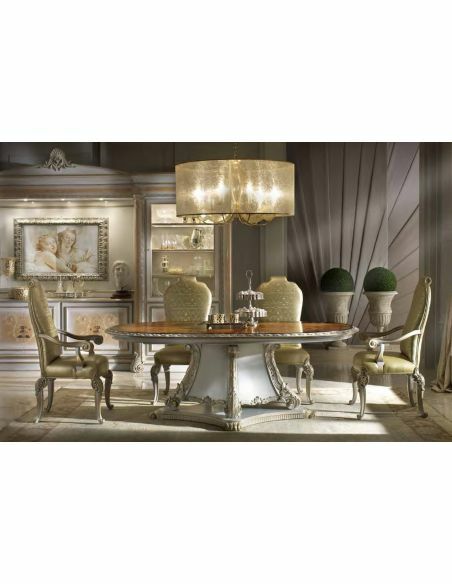 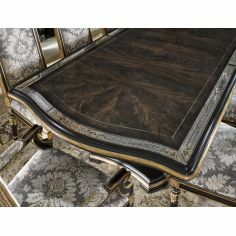 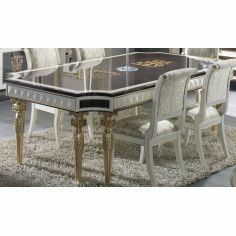 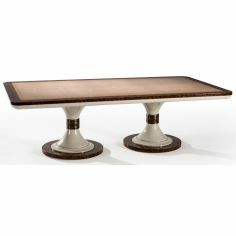 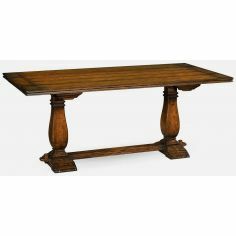 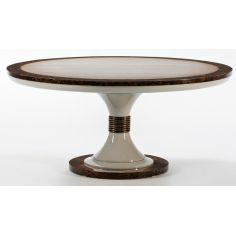 High end dining room table Italian furniture. 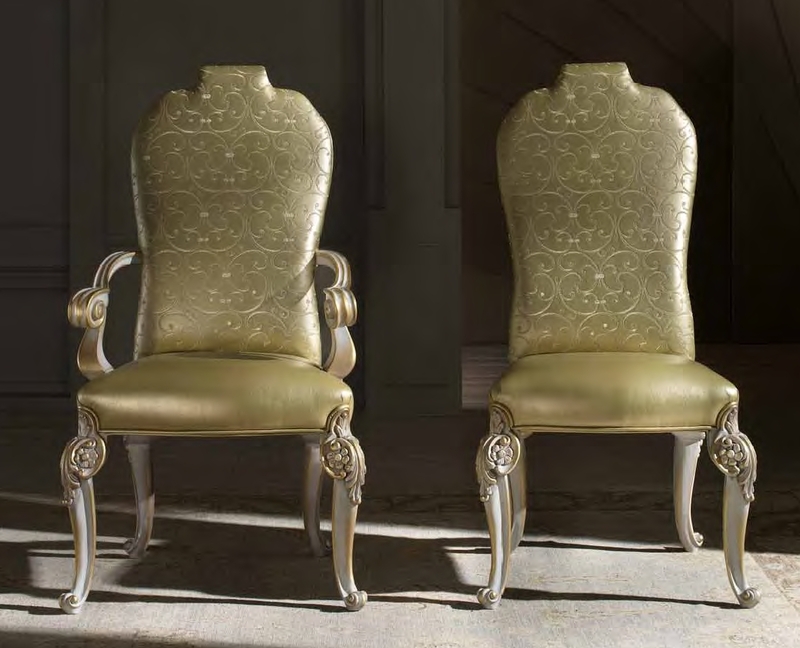 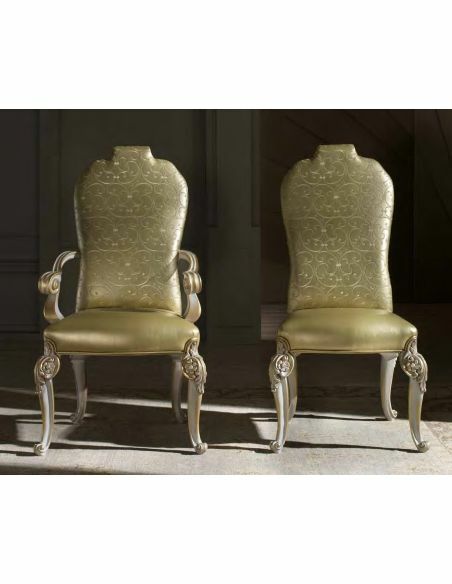 Size as shown 86.6" closed 114.2" fully extended 51.2" wide 31.5"
Chairs are leather, delivery additional Bernadette Livingston Furniture Is proud to offer to our clients, handmade Italian furniture regarded as some of the best furniture in the world. 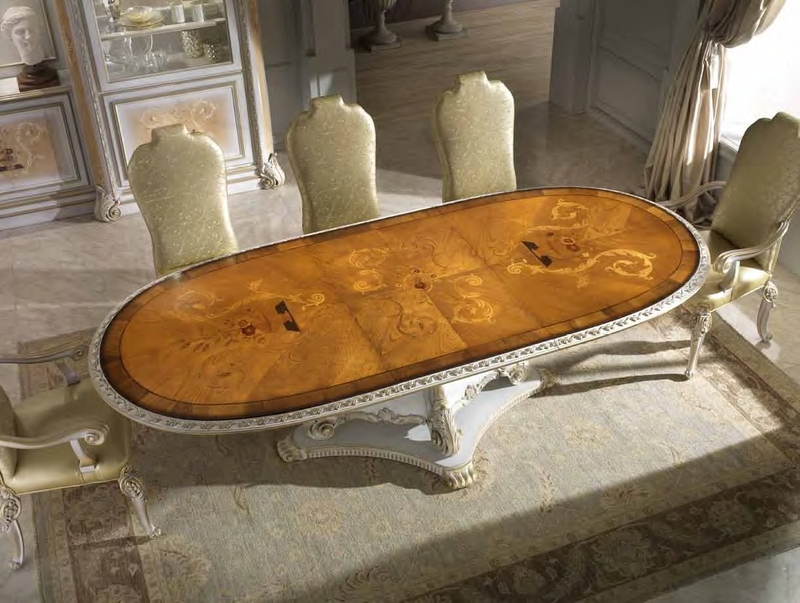 Contact our Showroom for more info and options on our exclusive handmade Italian furniture Call Toll Free: (877) 732-2586 FOR PRICE AND AVAILABILITY.